Since it has been so cold lately, I wanted to have something for dinner that made me think of warm sandy beaches and a cool ocean breeze...thankfully I'll be feeling the real thing the first week of April, but until then foods reminiscent of a beach vacation will just have to do. Preheat oven to 350 degrees. Mix the oil and all of the spices and seasonings in a small bowl. Generously coat the pork with them mix. Heat a saute pan over high heat. Sear the pork on each side for about 30 seconds. Once you have done each side place the pan in the oven. 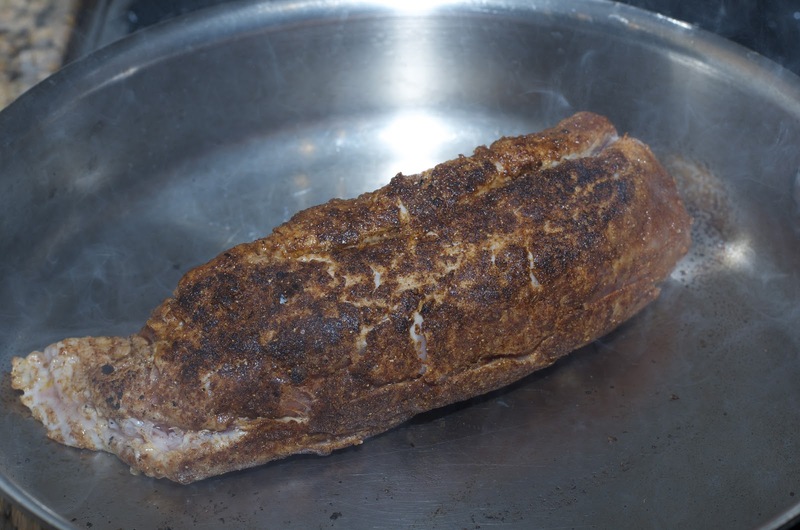 Cook 15-25 minutes, depending on the thickness of the tenderloin, until it is medium. Over medium heat, add oil to a large fry pan. 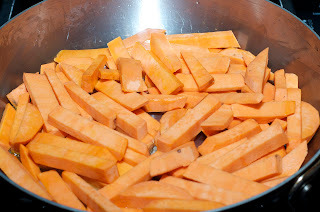 Add the sweet potatoes and cook until they are tender, about 15 minutes. Add the cumin and salt and pepper to taste and cook an additional 2-4 minutes. 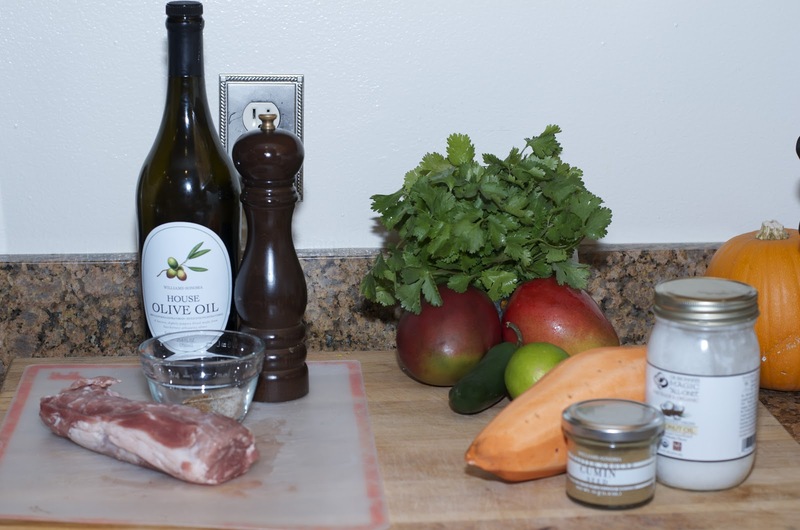 While the pork and sweet potatoes are cooking, prepare the salsa. 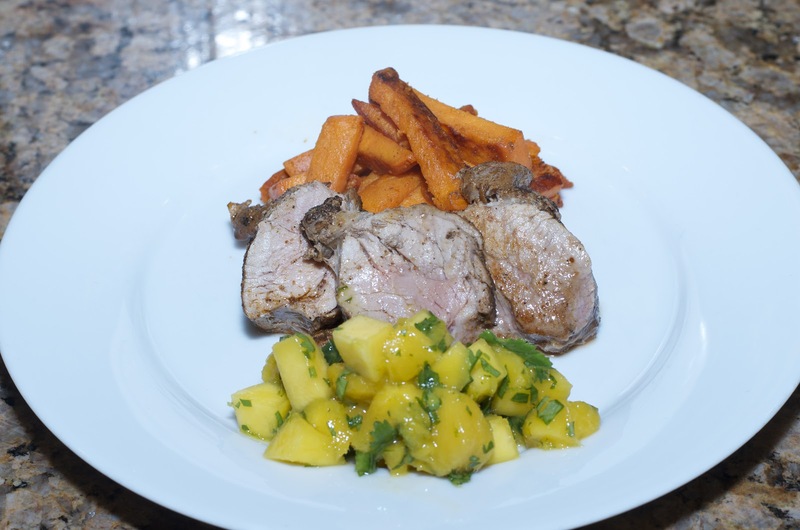 Mix all of the above ingredients together and set aside to allow flavors to marinate together.